Home / Unlabelled / Top 7 Business TV Programmes. Top 7 Business TV Programmes. 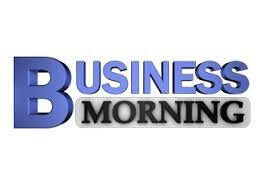 1 Business Morning: Business morning showing on channels tv and hosted by Boason Omofaye. 2 Money Show on Africa Independence Television presented/produce by Nancy Illoh. 3 Today's Business showing on Silverbird television and hosted by David Ubabudika. 4 Open Exchange West Africa on CNBC Africa. 5 Buy Africa on CNBC Africa.